I have mentioned this foundation on this website more times than Beyonce has won Grammy awards. But that’s because it is just one of those products that you cannot live without. It lasts and lasts through high temperatures and humidity. Your face may sweat but you won’t sweat off the foundation.I highly recommend this foundation.But it’s best for combination/oily skin.If you have dry skin you may want to look into mixing it with a more hydrating foundation.You can buy the foundation HERE. And another one from Lauder.Apart from offering full coverage of imperfections, this concealer is oil-free, sweat-resistant and transfer-resistant.Just like the foundation version, this concealer is a force to be reckoned with.You can find the concealer HERE. This is just one of those “I ain’t going nowhere” types of mascaras. At about $5 It is affordable.The Carbon black version is what you want for the darkest lashes of life. This mascara can be gotten HERE. If you want the job done and you want it done well, this guy is the one to do it. The blackest black eyeliner I have seen in my life and it won’t move for anything or anybody.Not in the heat and not in the cold. Once it’s there,it’s there. On those days that I fall asleep in makeup(shame shame), I wake up with this eye liner still intact.This bad boy can be bough HERE. 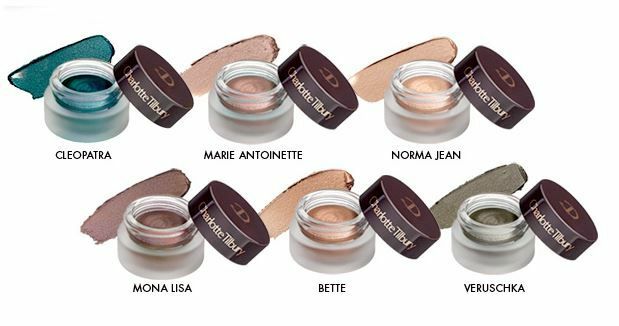 If you wan to be sure that your eyeshadow won’t budge on a hot day, I recommend cream eyeshadows. They stay on much longer.But if you have oily eyelids make sure you wear an eyeshadow primer first. This one from Charlotte Tilbury is a gem. It will stay put through hot summer days. I promise! If you’d like this product THIS is where to find it. As a makeup product,lipstick doesn’t usually suffer so much when it comes to heat. But if you want the lipstick with one of the best staying powers, this is the one for you.And by the way, you can totally buy this liquid lipstick HERE.